We saw a film crew operating this drone to film a train leaving the station. The drone, with camera attached, took off from the viewing area just below us and tracked the train from the station until it entered the tunnel. 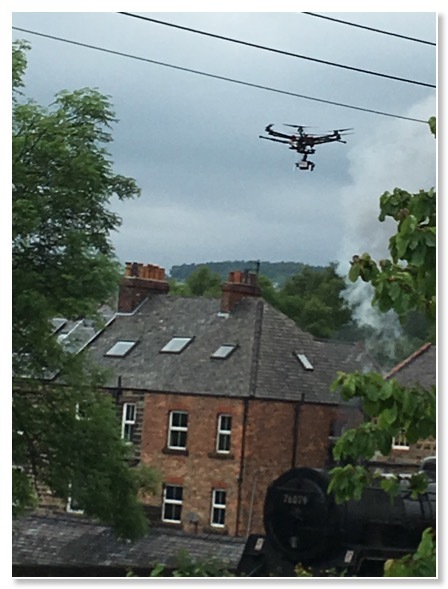 The drone then zoomed up high over the hill to film the train as it emerged from the other side of the tunnel and headed off across the valley to Goathland. Interesting to see 21st century technology capturing 19th century technology. We wonder if drones will still be around in a hundred years. 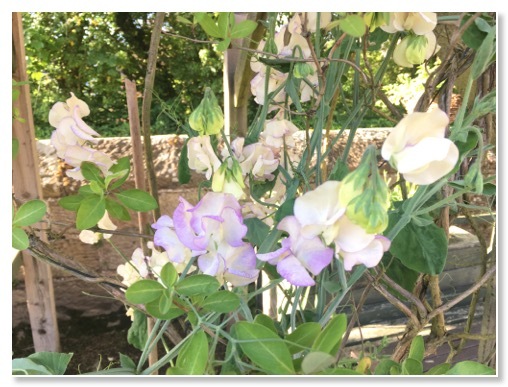 Emily planted these sweet peas at the end of last season using seeds she collected from the plants in our raised bed. Amazingly, they survived through the winter and grew this spring. Their perfume is lovely. Lots of customers have been impressed to see them flowering so early. 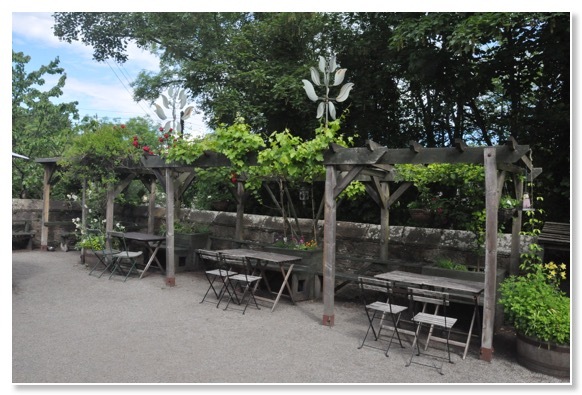 The pergola in our outdoor area (the school's old playground) is lovely at the moment, with grapevines, roses, sweet peas and honeysuckle all growing well. It's a pleasant place to sit and relax with a coffee when the sun is shining. 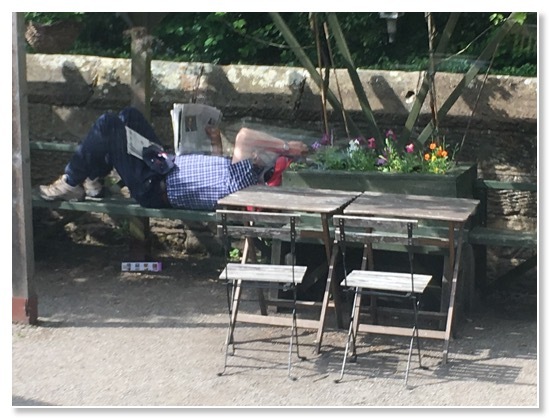 Sometimes customers seem to forget they are in a public place rather than their own home as the picture below will attest. We clear up outside at the end of each day and often find things people have collected on their walk before reaching us. Lots of sticks, bunches of wild flowers, feathers and, this week, a pile of stones. It's a bit like a human equivalent of the ice age glacial activity which deposited a large granite stone, originally from Shap Fell, in the village millions of years ago.